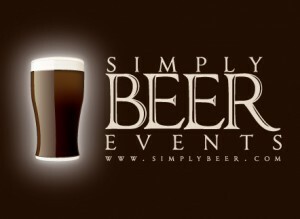 The Simply Beer Tastings are hugely popular. Last months tasting sold out in 4 days with over a dozen people on a waiting list. Our small intimate tastings have proven to be extremely fun, entertaining, and even educational. We limit the number of guests in order to keep them fun and personal, but also allows us to bring in a couple of surprises to share with you. Joe Gomez of Flying Dog Ales and Peter Kennedy of Simply Beer will be hosting this class which will be held on Saturday March 13th, 4:00 pm at Amanti Vino’s upstairs classroom in Montclair, NJ. This tasting will focus on Flying Dog’s wide range of beer, including some of their Seasonal, 20th Anniversary, and a rarity. Tickets are $30 per person and must be purchased in advance of the class. To keep this a unique experience with unique beers and some special surprises, space is extremely limited, so please call Amanti Vino (973) 509-9463 to reserve your seat. Previous story What to do in a Blizzard? Make Snow Beer!